We are flat promoters doing individual house construction too... Ww hv our own building blocks factory. 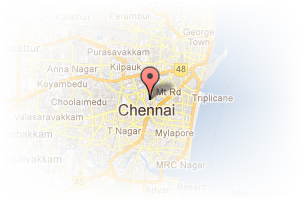 Address: North, Porur, Chennai, Tamil Nadu, India. 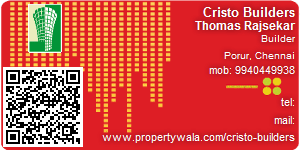 This Builder Profile page for "Cristo Builders" has been created by PropertyWala.com. "Cristo Builders" is not endorsed by or affiliated with PropertyWala.com. For questions regarding Builder Profiles on PropertyWala.com please contact us.